Simon Says Stamp Happy Happy Birthday! Sorry for the long absence. Things have been kind of crazy here with the start of our homeschool year. 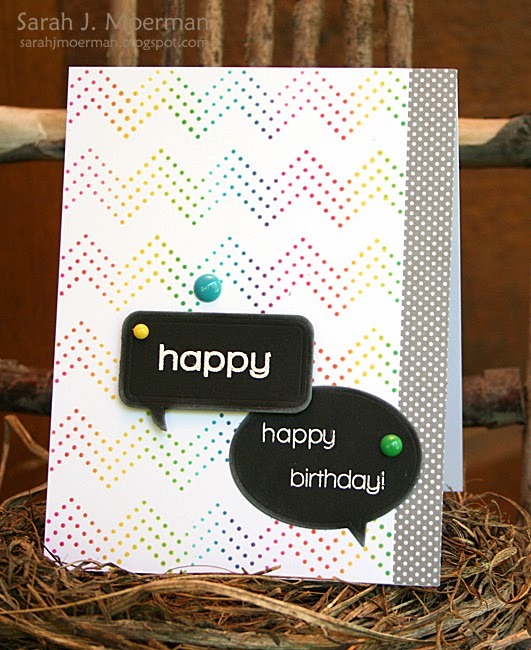 Regardless, I'm here today to share a card I made using the fun Zig Zag Dots Stencil from Simon Says Stamp. Can you believe I only used 3 ink colors to create this rainbow background?! I love how well the Distress Inks blend. After mounting some patterned paper and my stenciled background to my card base, I die cut some speech bubbles using the Simon Says Stamp Talk Bubbles Dies. I white heat embossed the sentiments from Simon's 'Happy' and 'Be Sentiments' stamp sets and inked up the edges of the word bubbles with white pigment ink. I used foam adhesive to mount the top die to add a little dimension and finished things off with some My Mind's Eye Enamel Dots. 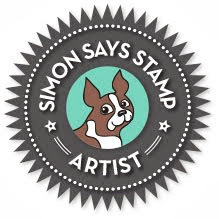 Simon Says Stamp October Card Kit Winner! 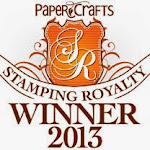 I'm stopping by real quick to announce the winner of the Simon Says Stamp October Card Kit. Super cute!!! 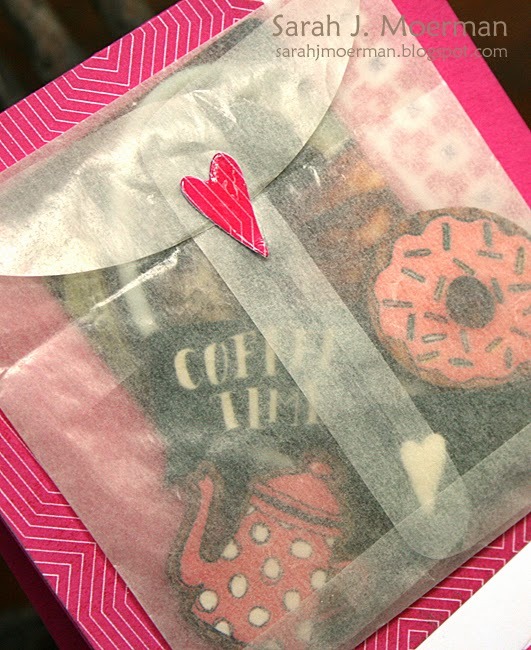 I love how you made a little bag filled with coffee goodies!! 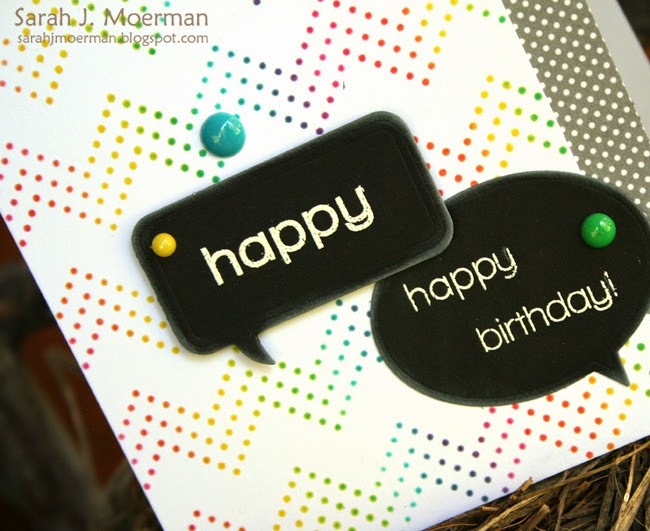 I'm back with another card using the fun Simon Says Stamp October Card Kit. 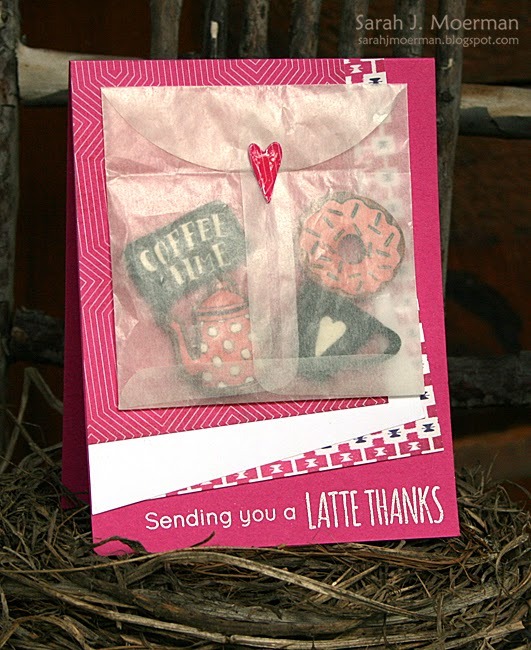 For this card I used the glassine bag that the Coffee Cup die came in to hold some of the coffee-themed wood veneer pieces and a coffee shop gift card. 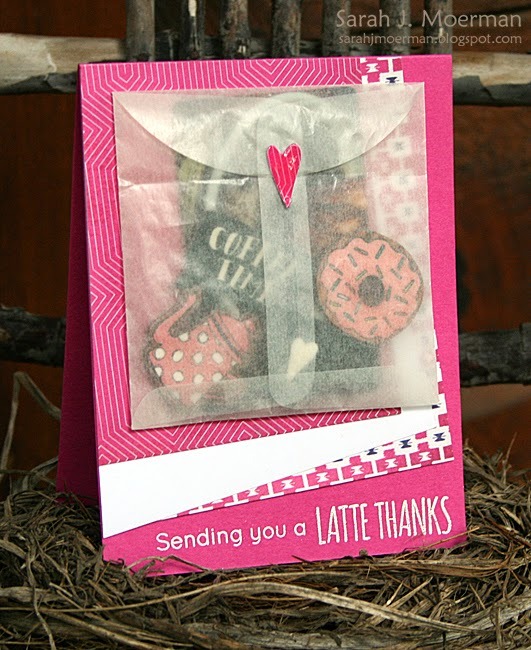 The heart was die cut using the Coffee Cup die and Glossy Accents was added on top. The white paper is just the back side of one the patterned papers from the kit that I didn't see myself using otherwise. Just a reminder that you can pick up the October 2014 card kit HERE for just $24.95 + shipping. Or if you’d like to receive this kit and future kits for only $19.95 + shipping per month, you can SUBSCRIBE HERE. I also have an extra Simon Says Stamp October 2014 Card Kit to give away thanks to sweet Heidi, owner of Simon Says Stamp! Just leave a comment on any of my October 2014 Card Kit posts by the end of today (September 19th) and I'll announce a winner tomorrow (on the 20th).